Let’s be honest. No one can deny that there is a harsh gender divide in our community. 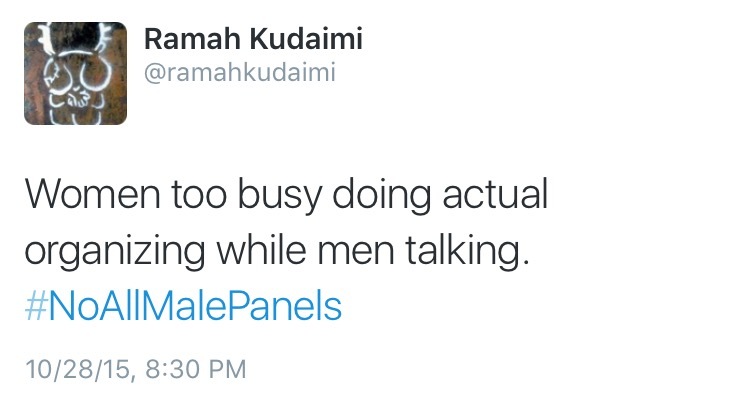 Well, we’re doing something about that. 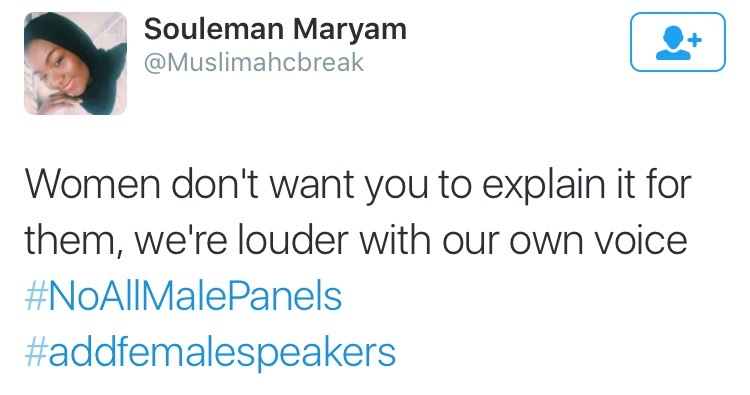 Last night, MuslimGirl and some incredible avid moguls, writers, and personalities took to Twitter in an epic tweetstorm to attack these issues head on. 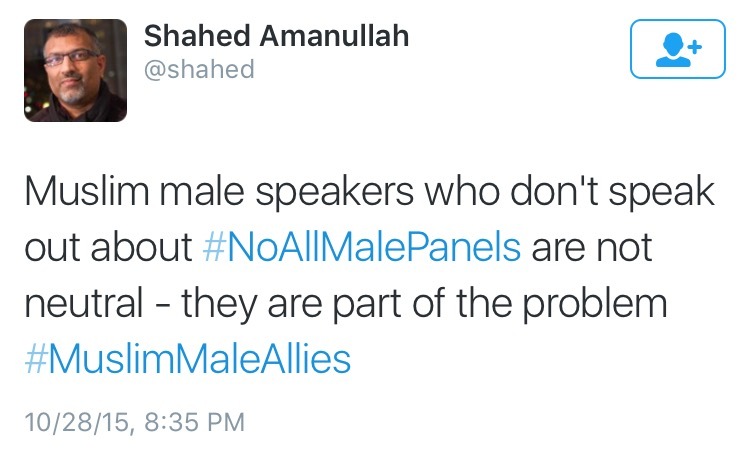 With the bold hashtag #NoAllMalePanels, the voices of Muslim women and Male Muslim allies were heard. 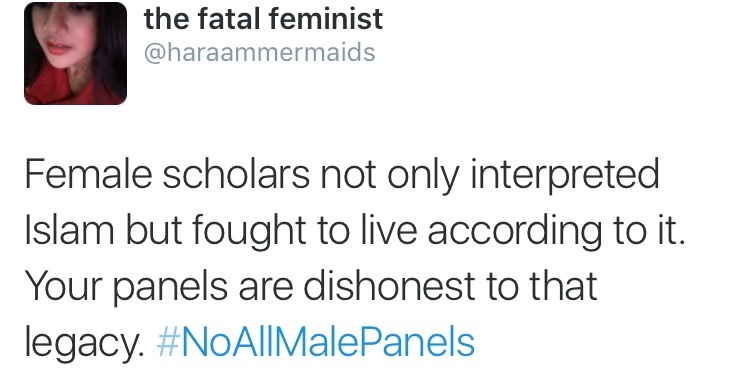 It still baffles my mind how we have panels made up entirely of men talking about strictly women’s issues. 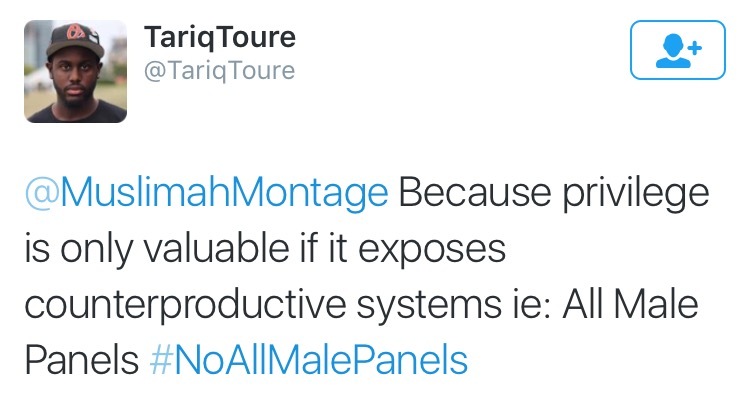 How is a man supposed to talk about periods when he’s never had one? 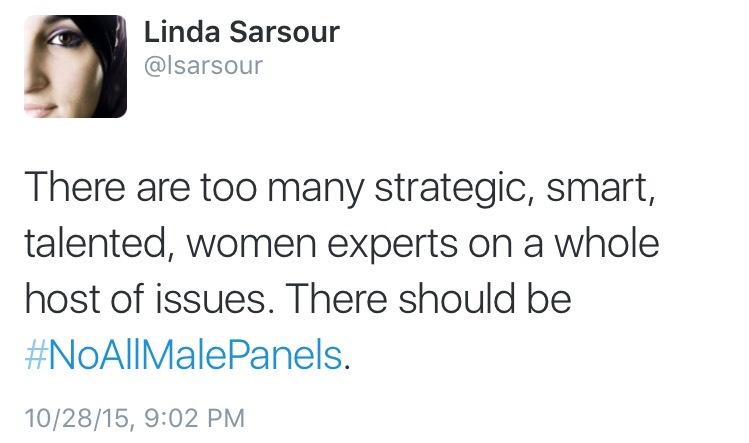 It’s not only women’s issues that need to be more inclusive, but we also need to diversify our panels on all topics discussed. 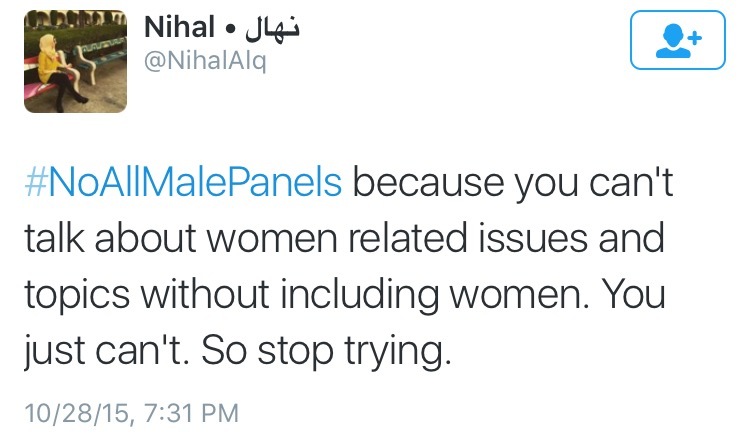 Women are an integral part of this community. Our struggles, voices, and unique experiences deserve to be heard, and not only on exclusive platforms. We need to stop being afraid of allowing women’s voices to be heard on all panels and we need to realize that we are a crucial part in taking a leading role in our communities. 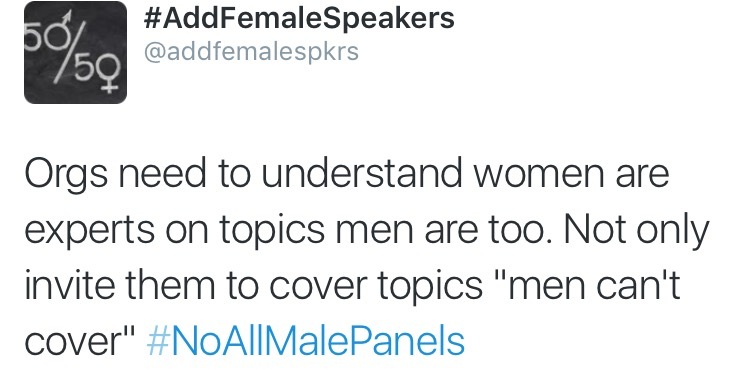 We need to address the extremely dangerous nature of having all male panels. Who are our girls supposed to look up to? 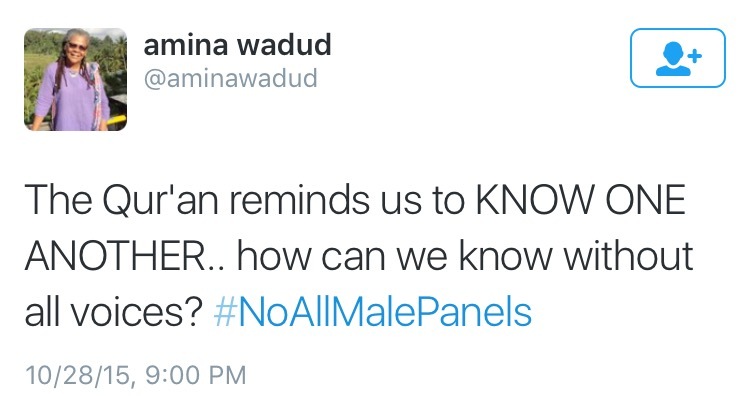 When we have all make panels, it’s a serious disservice to this ummah and our history – that once was strongly led by women. 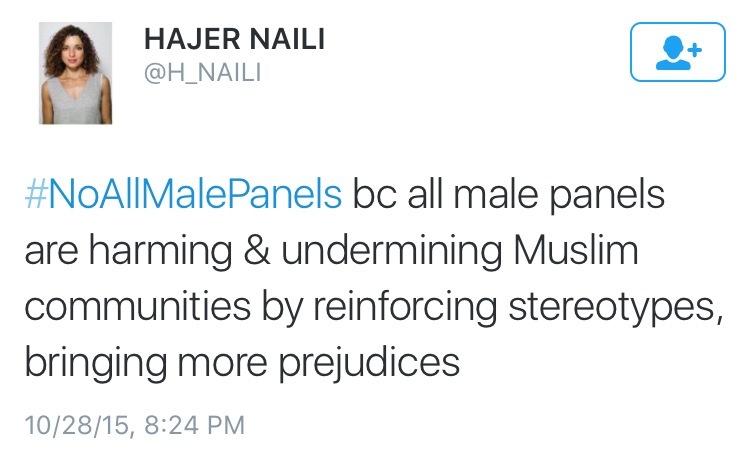 #NoAllMalePanels is not just a hashtag. 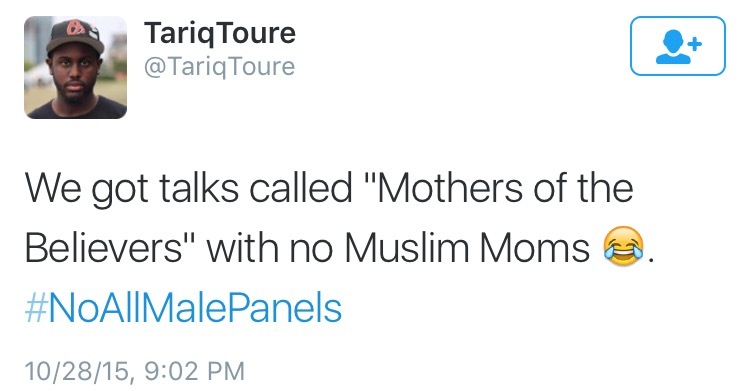 It’s an entire movement that is driving towards a much needed change in the way we speak about issues. Seeing all of our allies come together through this hashtag, proves that our voices can be heard. 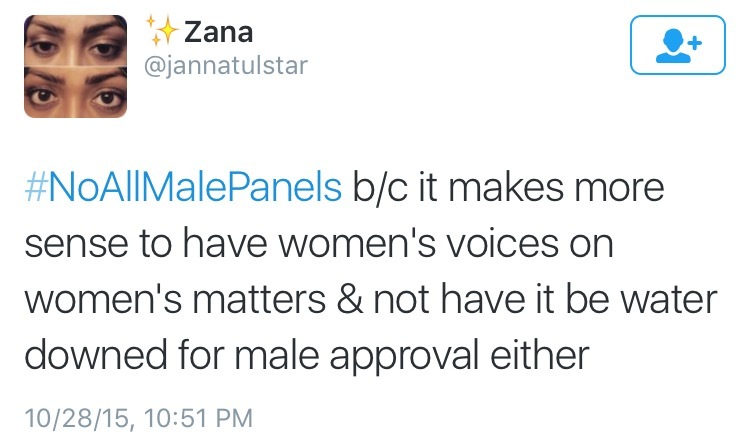 Our voices are meant to be heard. And raising awareness on the topic is just the first step. The movement did not end last night. It has just begun. 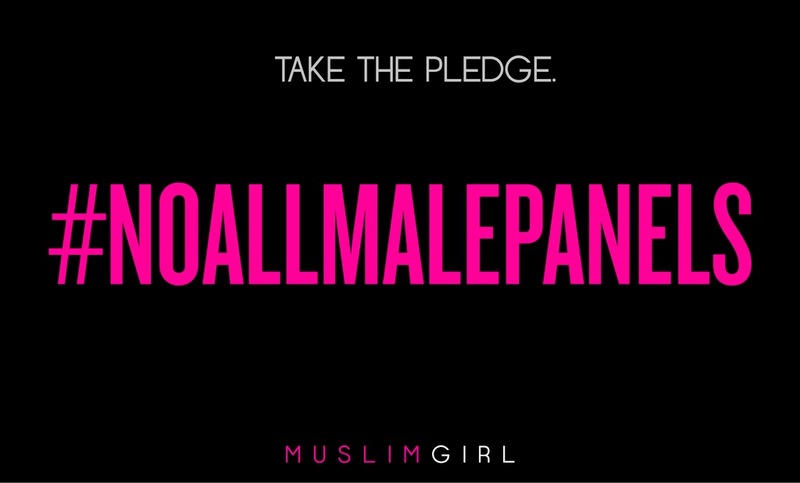 To sign the pledge – click here. 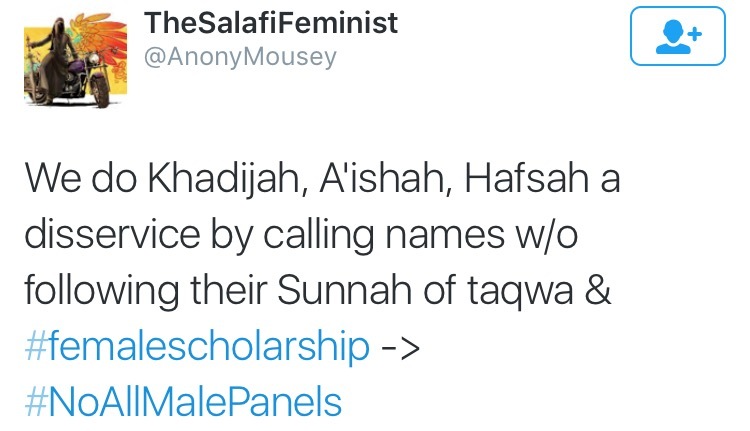 there is a salafi feminist? lol. so what does she think of 4:11? 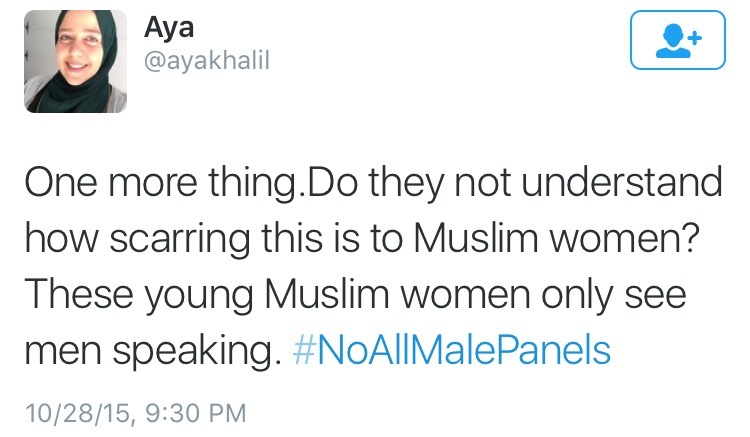 Hope the Muslim ladies would someday find strength to raise their voices against Saudi Arabian totally male bastion form of society also. 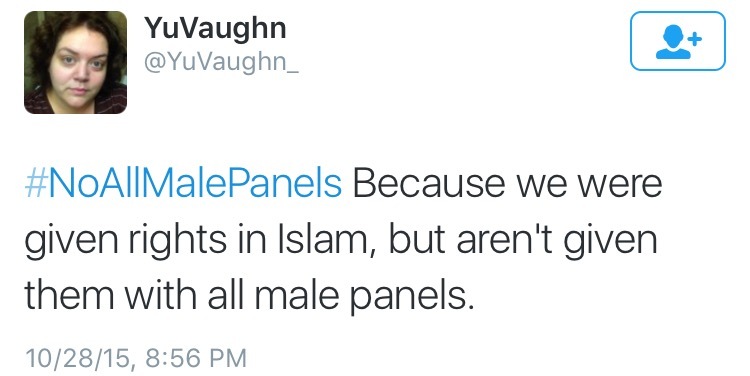 They haven’t got their rights due to them despite living in the land where Islam originated and that’s the greatest insult to any female but do the Muslim women feel that way…I’ve doubts. 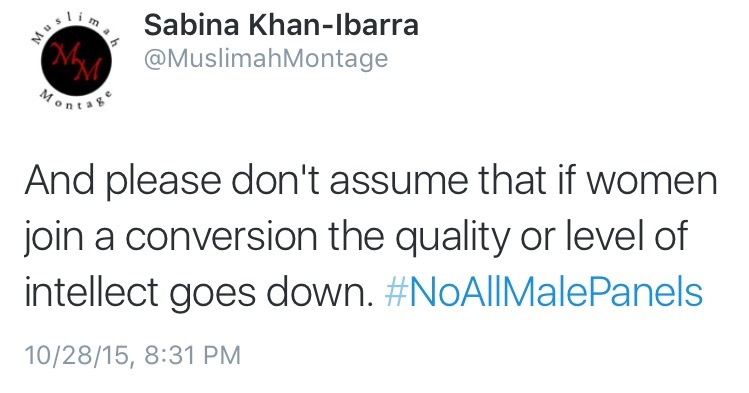 I can understand your sentiment but not your logic. 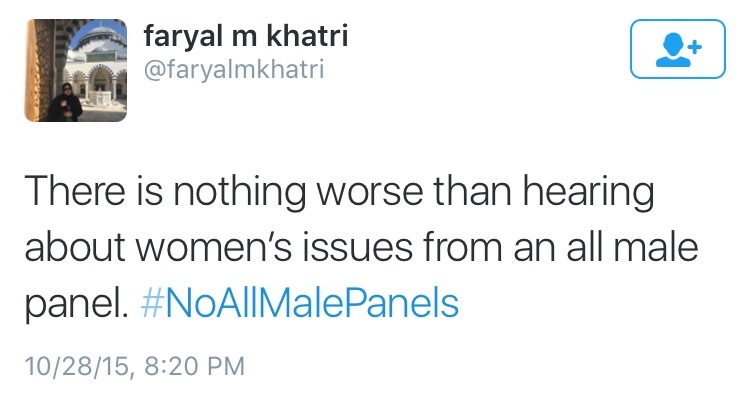 There is no such thing as a “strictly women’s issues”. 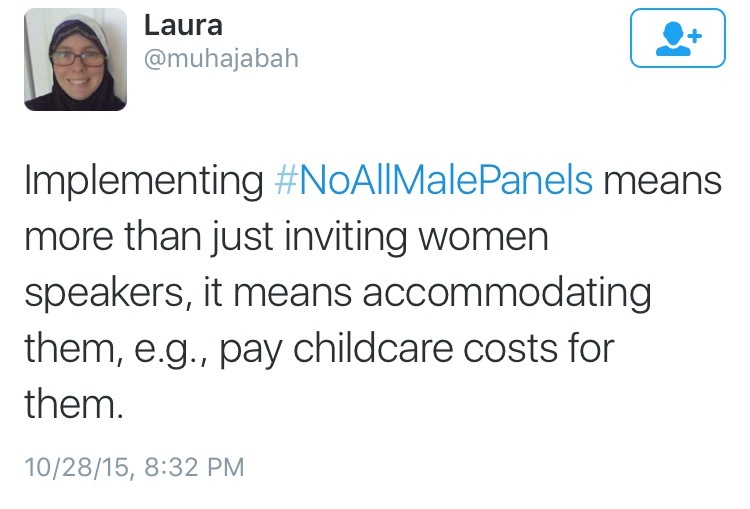 Men and women are complementary. One effects and affects the other. You can’t have one without the other. 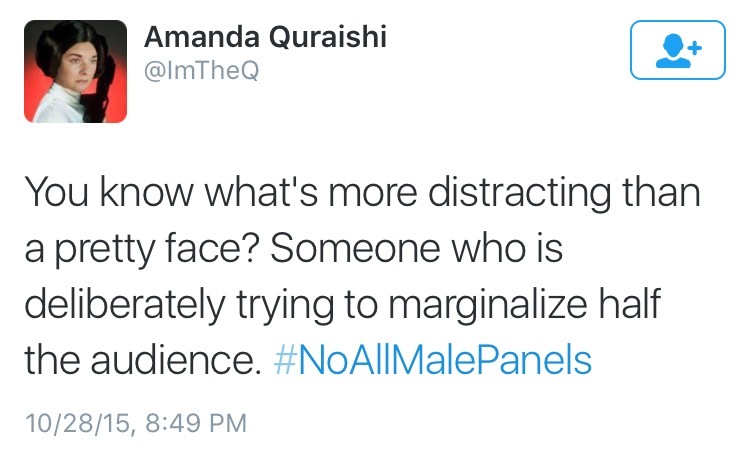 They should both be represented on such panels. Poor logic. Your statement is not well throughout.